The same way the soles of your feet absorb much of the strain during a mile-long walk or run, your car’s tires take a beating every time you take it out for a drive. Because tire failure can prove fatal, both to yourself and others, it’s vital to always keep your tires in tip-top shape. When on an out-of-town drive, you don’t want to be that motorist with a broken tire in the middle of nowhere with no way to get help fast. Also, when driving amid inclement weather in Colorado, good tire traction and careful driving can help you get to your destination without incident. While there’s no doubt the friendly neighborhood mechanic can tell you when your tires need replacing, you also should know what to watch out for before you take your car out of the garage. The ridges and grooves on the tire surface, commonly known as tread, increase tire traction on the road. In wet conditions, they deflect water from beneath the tires and prevent your car from careening on the highway. Several factors affect tire wear, including climate and road conditions, driving habits, air pressure, and wheel alignment. Tire manufacturer Bridgestone recommends performing the penny test to check for tread depth. This is done by placing a penny with Lincoln’s head pointing down between the tread ribs, which are the raised portion of tread on your tire. Lincoln’s head disappearing between the ribs means your tire tread is still deep enough, while Lincoln’s entire head visible between the ribs means it’s time for a replacement. According to tire maker Michelin, the legal minimum for remaining tread depth is 1.6 mm, so remember to replace your tires before they get to that level. A puncture on your tire is bad news. Driving with one can cause the tire pressure to rapidly drop. As such, meticulously check your tires for puncture signs before you leave. The moment you see any, promptly replace the tire and have it checked by a professional. Also ensure your spare is in excellent condition in case you run into anything that can puncture your car’s tire while on the road, such as rocks or nails. “It’s impossible to predict when tires should be replaced based on their calendar age alone,” says an article on TireRack.com, due largely to the many variables affecting tire aging, such as exposure to the elements, frequency of use, and quality of care. The same article notes though that the British Rubber Manufacturers Association (BRMA) recommends that all unused tires “not be put into service if they are over six years old” and that all tires be replaced 10 years from their manufacture date. 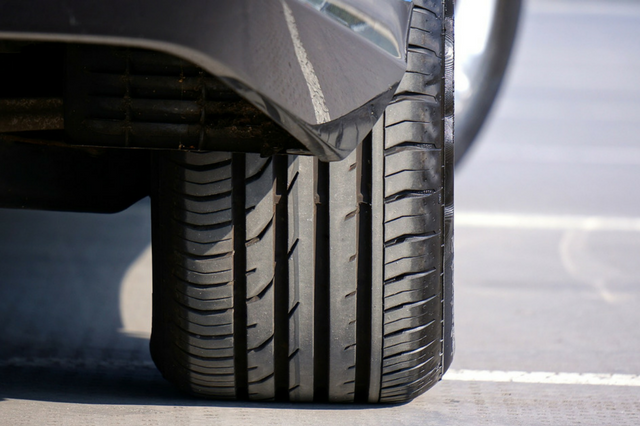 Your tires are your car’s first contact with the road. As such, be mindful of anything that indicates it may be time to replace them with new ones. And because driving conditions can be especially tricky during winter in Colorado, “Don’t wait until it’s too late” is a good adage to live by. With law enforcement experts in its roster of driving instructors, Western Slope Driving Institute is a driving school that teaches students everything they need to know about car and driving safety. Driving courses can even be customized to fit your young driver’s needs. If you have any questions, contact us today so we can discuss how we can help you. Click here for more tips about parallel parking.